Partagas Black Label | Chicago's Pipe, Cigar & Tobacco Store | Iwan Ries & Co. 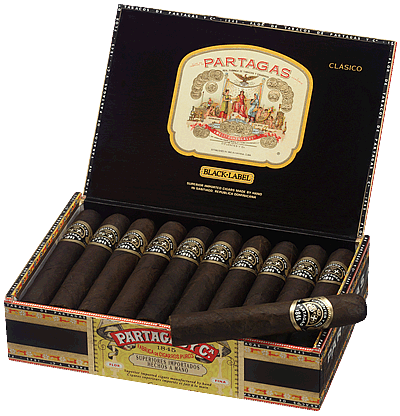 The Partagas Black Label line was developed to meet increasing customer demand for full-bodied cigars. Partagas Black Label cigars are crafted with an exclusive Medio Tiempo wrapper leaf, sun-grown in the Connecticut River Valley. This flavorful wrapper is combined with a blend of Nicaraguan and Piloto Cubano Ligero filler and Dominican grown La Vega Especial binder to provide a bold and distinctive taste.